I love finding and bringing to you easy to make projects. 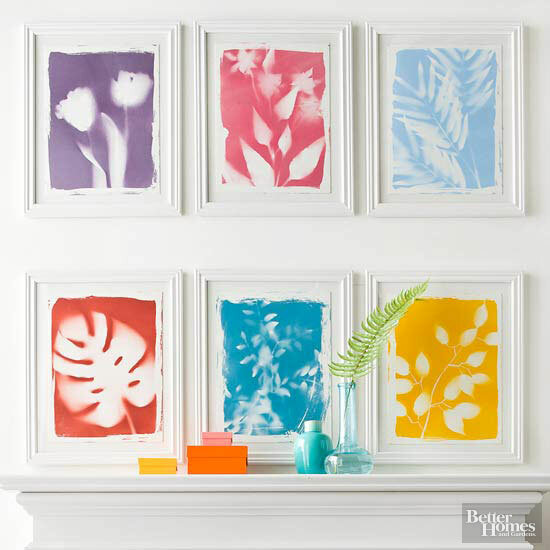 Here is another one that you can amke to decorate a blank wall. All you need is spray paint and some leaves.